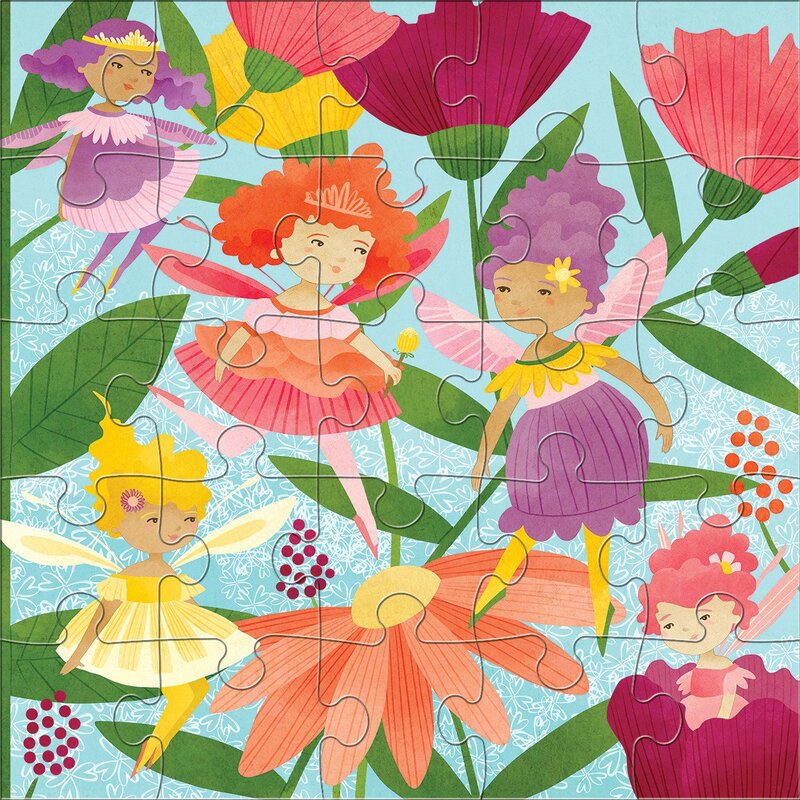 Perfect for small hands, the Fairy Friends Jumbo Puzzle features 5 colorful fairies and includes 25 large, thick pieces made of 90% recycled paper. 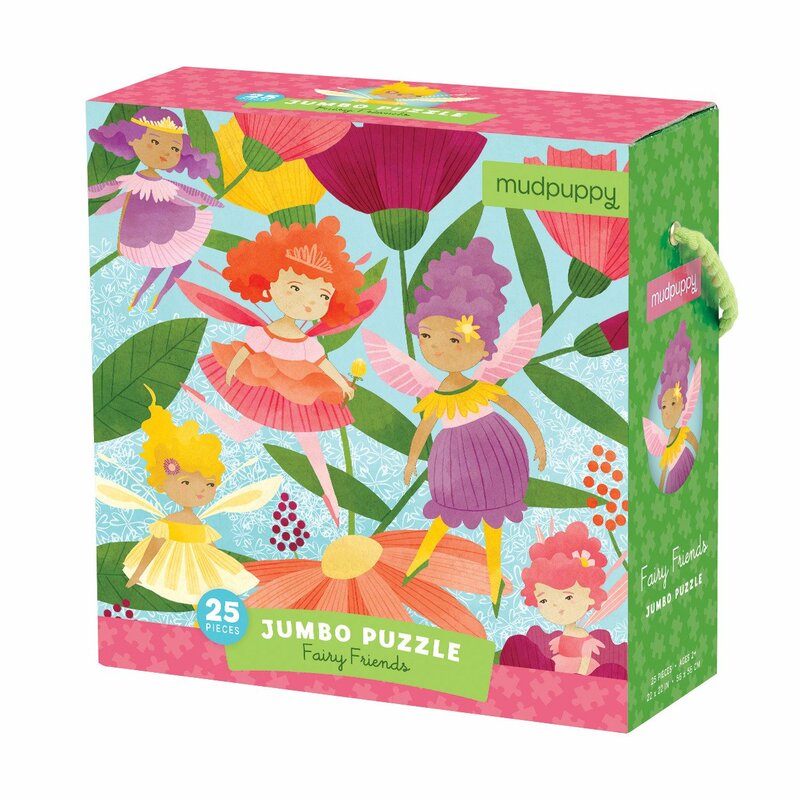 Perfect for small hands, the Fairy Friends Jumbo Puzzle features 5 colorful fairies and includes 25 large, thick pieces made of 90% recycled paper. 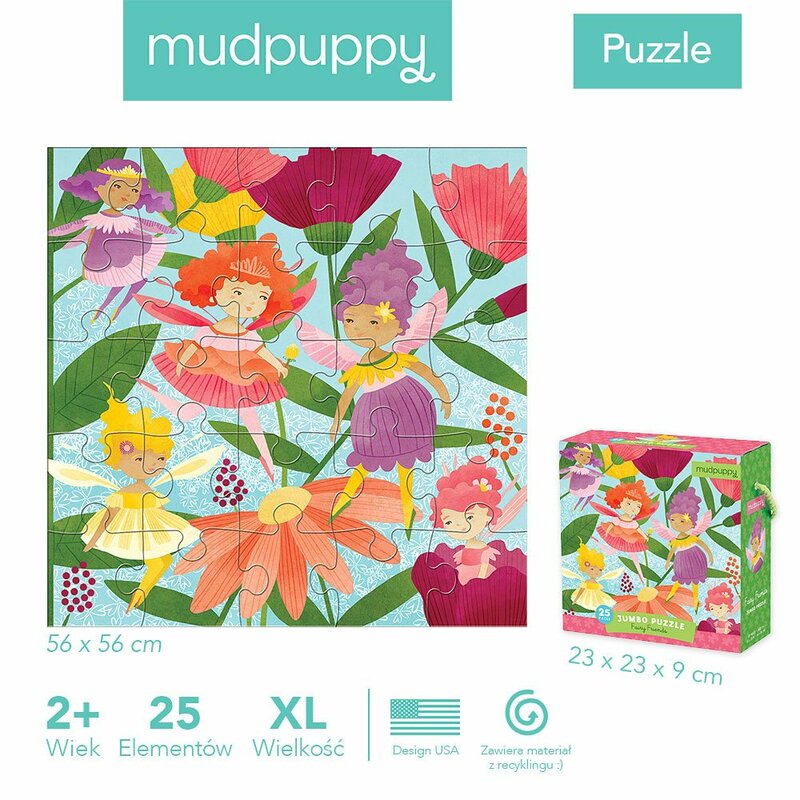 A bestselling puzzle format from Mudpuppy, the handy storage box with rope handle is great for safekeeping and transport.